Every year, the World Health Organization chooses a focus for Global Health Day on April 7th. This year, the focus is depression. Join us in celebrating all things HOPE by planting sunflowers in your community for #Hope2017, any day in April or May and share pics throughout the year until October 10th. Global Day for Hope is a day to share your support and help us raise awareness for depression treatment in your specific communities. With over 350 million people worldwide affected by the disease and the vast majority not seeking help due to stigma, it is time we joined hands in solidarity to share a powerful, empowering, strong message to the world. Plant sunflowers! 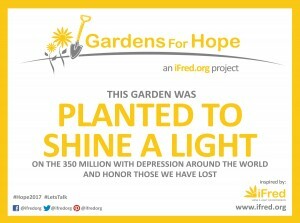 Plant one, plant a garden, get friends and community involved and celebrate HOPE together. Sunflowers serve as a positive symbol and reminder to always have hope. 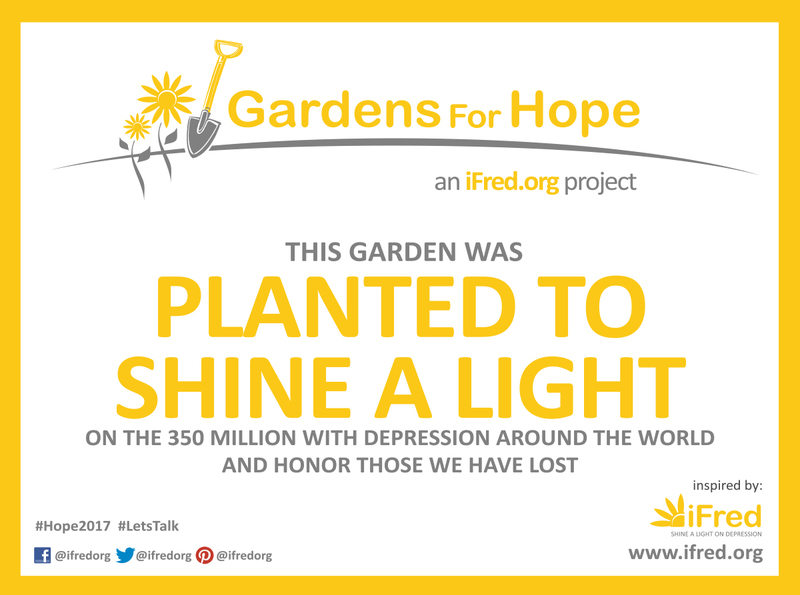 Place a downloadable sign next to your sunflower garden to spread hope in your community. Pin the location of where you are planting on our map, at Global Day for Hope so we can see where the gardens are around the world! Wear yellow. Yellow is the color of the joy and happiness we feel when depression is successfully treated. Share, Share, Share. Post, tweet, or share a photo on social media. 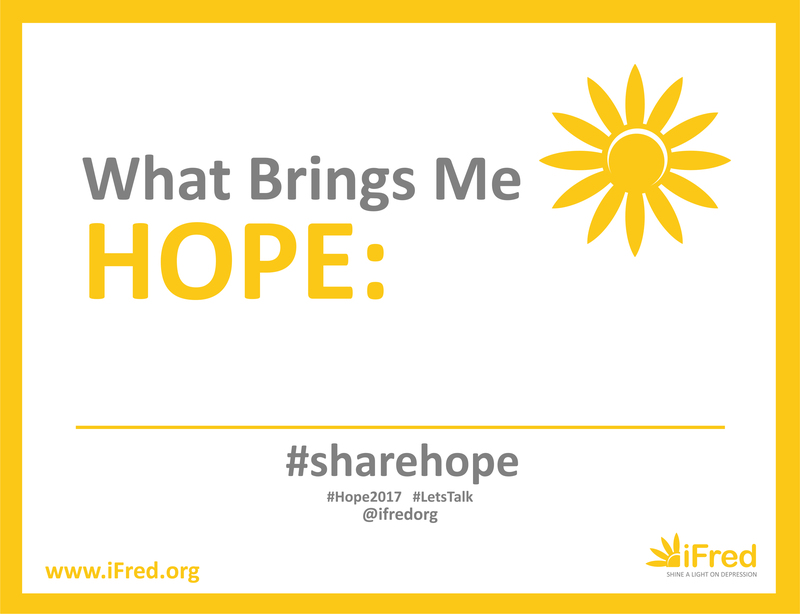 Shine your light and use the hashtag #HOPE2017 and be sure to tag @ifredorg. 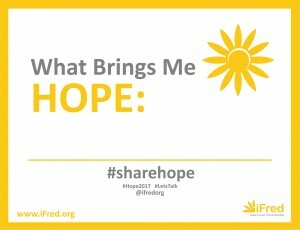 Show us your planting pics, send an inspiring quote, song, or poem or take a selfie with our “What Brings Me Hope” sheet downloadable here.